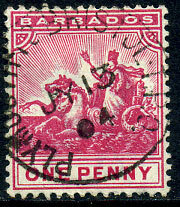 (23mm, mid flight dot between L and T) dated JY 13 04 on 1d Seal (SG.107). 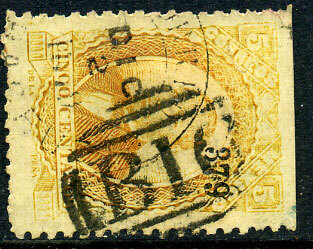 on 1879 5c orange ovp'd "379" District number (Sc.125) locally pmk'd DIC 2 1879. (21mm) SORTING TENDER cds dated JY 27 04 on 1d Seal (SG.107). 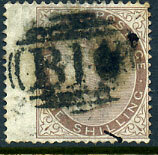 on QV 1/- CC wmk (SG.13), some shortish base perfs, oily over-inked cancel.